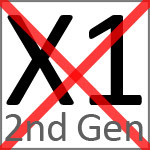 The 1st generation X1 had an aluminium boiler and could use both pod and ground using a different portafilter handle. 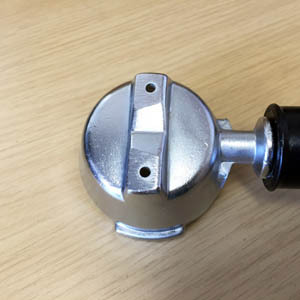 The dimension of the handle (from outer lug to outer lug) is 66mm. 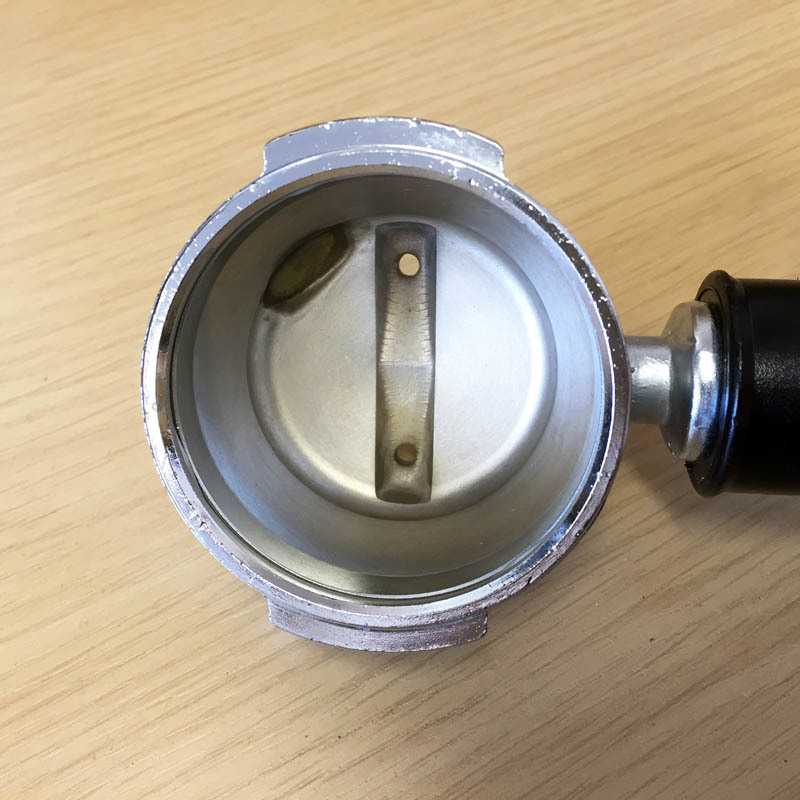 Ground coffee handle didn't have a screw on spout, just two holes cast into the portafilter (see picture one). 1st generation machines were available late 1999-2004. 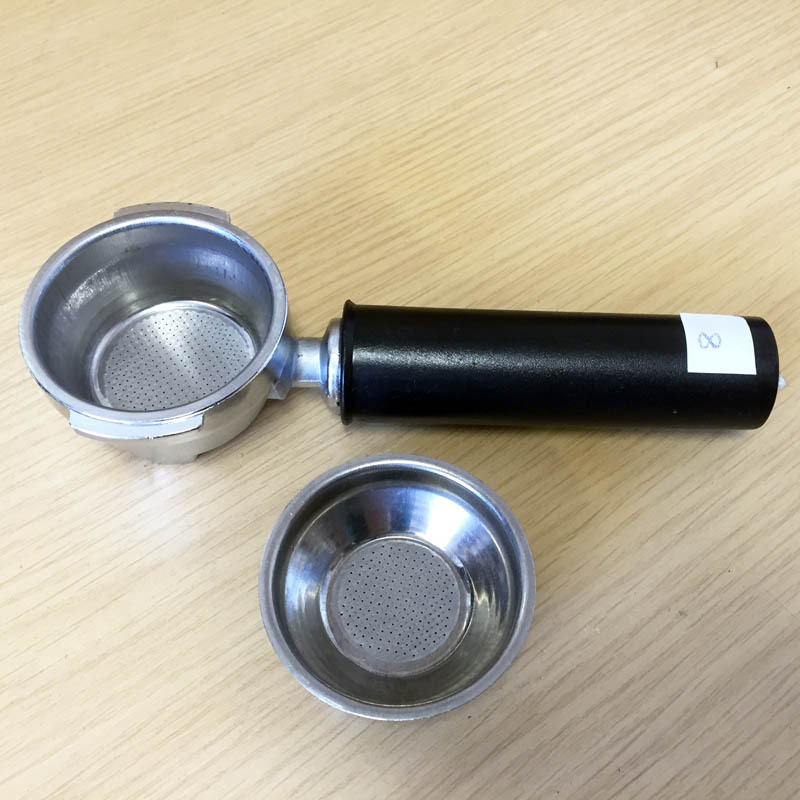 This ground portafilter handle also fits the original X2 machine (NOT iperEspresso). 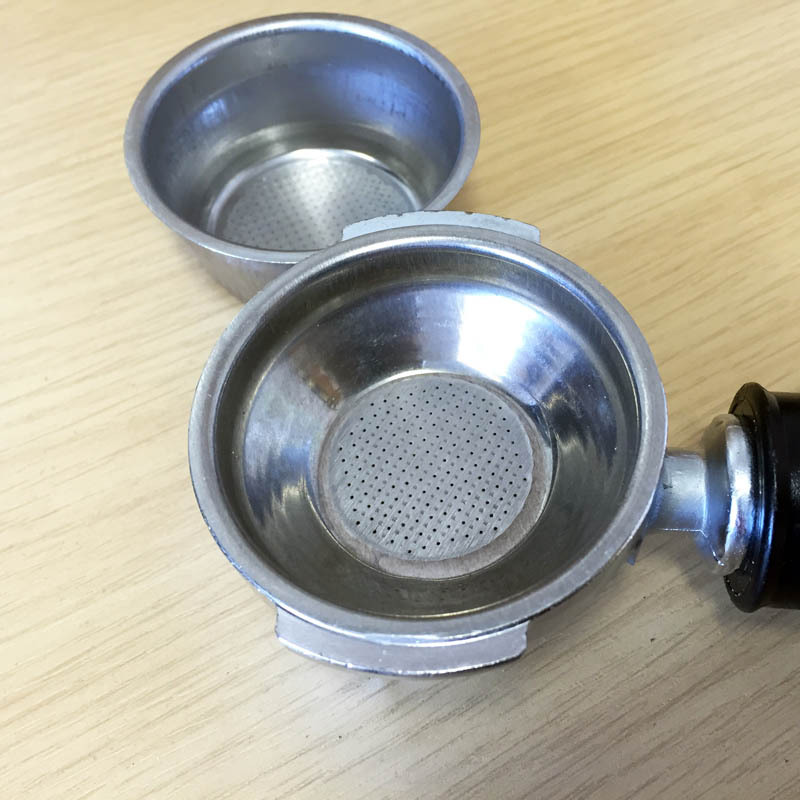 If you have a question about X2 compatibility please EMAIL us with photos of your machine/ portafilter handle. 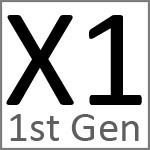 This is ONLY suitable for X1 1st generation machines with an aluminium boiler. 1st Gen Coffee portafilter handle.